On March 28, 2017 during the Congressional Subcommittee Hearing on President Trump's plan to eliminate the Corporation for Public Broadcasting (CPB), Rep. Andy Harris (R, Maryland) singled out three PBS broadcast documentary films that he thought should not have been supported by public dollars: The New Black (directed by Yoruba Richen), Kumu Hina (directed by Joe Wilson and Dean Hamer), and Baby Mama High (directed by Heather Ross). The New Black, which aired through the national PBS series Independent Lens, tells the story of how the African-American community is grappling with gay rights in light of the the equal marriage movement and the fight over civil rights. The film documents activists, families and clergy on both sides of the campaign to legalize gay marriage. The New Black takes viewers into the pews, onto the streets, and inside family kitchens as it follows the historic effort to pass Maryland’s marriage equality bill and charts the evolution of this divisive issue within the black community. Kumu Hina is film about the struggle to maintain Pacific Islander culture and values within the Westernized society of modern day Hawaiʻi. It is told through the lens of an extraordinary Native Hawaiian who is both an honored and respected kumu, or teacher and community leader, and a proud and confident māhū, the traditional term for individuals who embrace both male and female spirit. The film follows Hina as she mentors a young girl who dreams of leading her school's all-male hula troupe, and as she searches for love and a fulfilling relationship in her own life. Kumu Hina was watched and appreciated by a wide cross-section of the American public through its broadcast on Independent Lens, for which it won the 2014-15 Audience Award. It helped curious viewers learn more about the history, culture and traditions of America's Pacific Islander communities, which are among the most under-represented and poorly understood minority groups in the country. The film's stories provide a real-life example of what Hina calls “the true meaning of aloha” - unconditional acceptance and respect for all – and help deepen understanding of gender diversity and inclusion by providing a Hawaiian cultural perspective. Although Rep. Harris attacked Kumu Hina by telling CPB to “please remove the agenda from education,” the film and engagement campaign have actually provided much needed resources for American teachers. A Classroom Discussion Guide and clips from the educational version of the film, which are available for free on PBS LearningMedia, have been downloaded and used thousands of times by the over one million users of this trusted source of digital content. In fact,the National Education Association honored Hina, the title character in the film, with the Elison S. Onizuka Human and Civil Rights Award for “significantly impacting the achievement of equal opportunity for Asians and Pacific Islanders.” The only “agendas” of this educational work is to empower girls and all young people to achieve their maximum potential and to extend cultural understanding, a pillar of our democracy and essential to CPB’s mission. Baby Mama High did have an agenda, but not a political one: it was part of the CPB’sAmerican Graduate initiative, tasked with using media to create dialogue around increasing U.S. high school graduation rates. The short documentary uses the story of one teenage mother, Yessenia, to illuminate rarely-discussed, but common, obstacles that parenting students must overcome to finish school. Says Representative Harris: “I haven’t seen it. I should probably see it. But then I’m not sure I want to watch something that says that someone shouldn’t get married, that it’s actually better to stay a single mother with two children instead of getting married.” Had Harris seen the film, he would have understood that its heroine was struggling with an older boyfriend’s pressure to drop out, coming to a head in an attempt at an ambush wedding on one of Yessenia’s crucial last days of school. Verite-style profile documentaries like this one can build empathy and fill in the story behind statistics—but only when they’re actually watched. Besides bolstering civil society, studies show that PBS’ independent documentary programming features greater racial, gender and regional diversity among subjects and creators than any of the commercial channels. That’s because it is part of public media’s mission; rather than answering to shareholders or a bottom line. 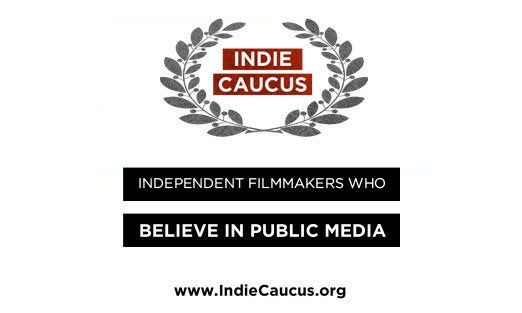 We believe the right side to be on is that which supports democracy, diversity and free expression in public media. Please join us in helping to keep public media alive and fulfilling its vital mission of educating, engaging and fostering dialogue across diverse communities. Claire Aguilar (IDA), Katy Chevigny, Giovanna Chesler, S. Leo Chiang, Heather Courtney, Angelica Das, Johanna Hamilton, Tim Horsburgh, Byron Hurt, Ciara Lacy, Brad Lichtenstein, Paco de Onís, Dawn Porter, Gordon Quinn, Julia Reichert, Yoruba Richen, Pamela Yates.